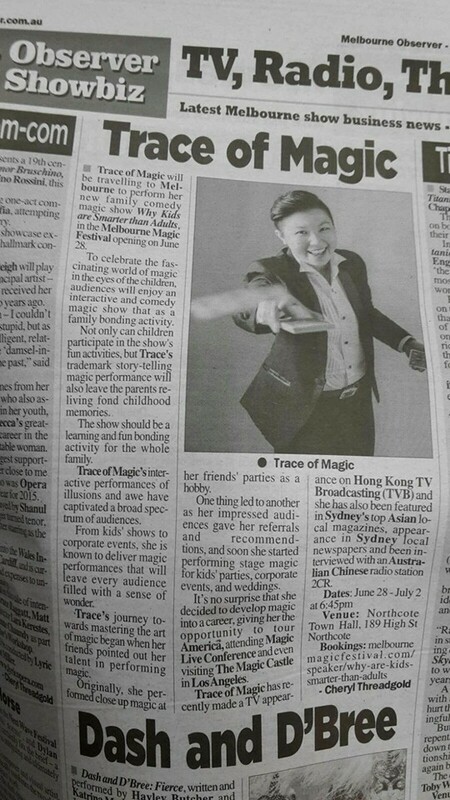 Trace of Magic is Television Broadcast Limited Australia (TVBA) Carnival’s resident magician. TVB Australia Carnival is one of the largest outdoor events in the Chinese community in Sydney. Every year it attracts over 20,000 visitors and has become the most influential family event for the local people. Highlights of the magic show was broadcasted live on television around Australia (scroll down to watch to TV Clip below). 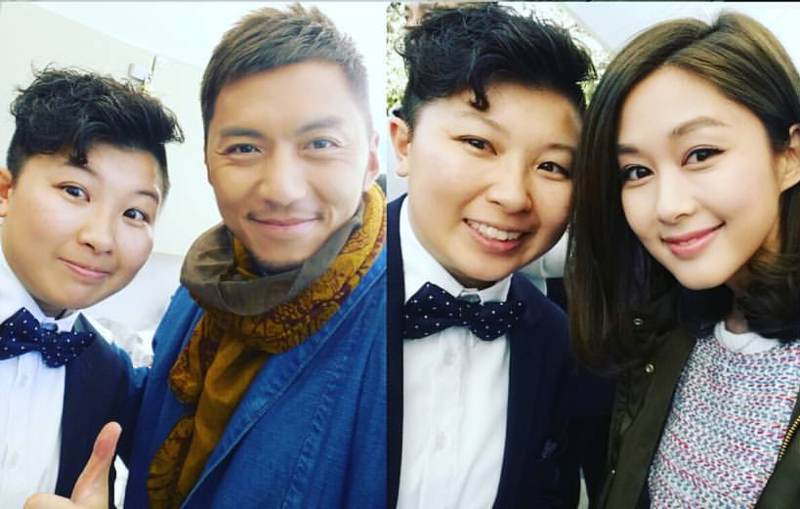 TVB Australia is the largest Chinese and Vietnamese television platform in Australia. Trace appeared alongside famous Hong Kong artistes like Natalie Tong 唐詩詠, Kenneth Ma 馬國明 in year 2015 TVB Australia Carnival and TOP 5 Australian Chinese Beauty Pageants, famous Hong Kong artistes Benjamin Yuen 袁偉豪 and Eliza Sam 岑麗香 in year 2016 TVB Austrlia Carnival. 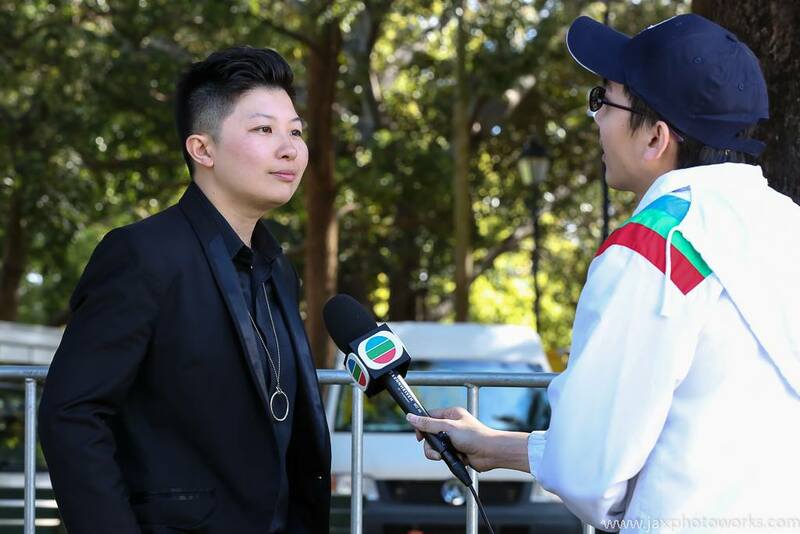 Trace starred in TVBJ’s program called Public Forum 眾坊街, an Australian Chinese Program interviewing Australia’s successful and famous entreprenuers and broadcasting the local Australian News for the Chinese and Vietnamese Community around Australia. Trace featured in the Episode sharing her story on her career path change from an Electrical Engineer to a female asian magician. Her success and struggles and her achievements in creating a new market in the wedding entertainment industry as a Specialist Wedding Magician and teaching kids magic and shared the big benefits for kids learning magic. Trace has also been featured in one of Sydney’s most popular Australian Chinese Magazine “City Walker”. 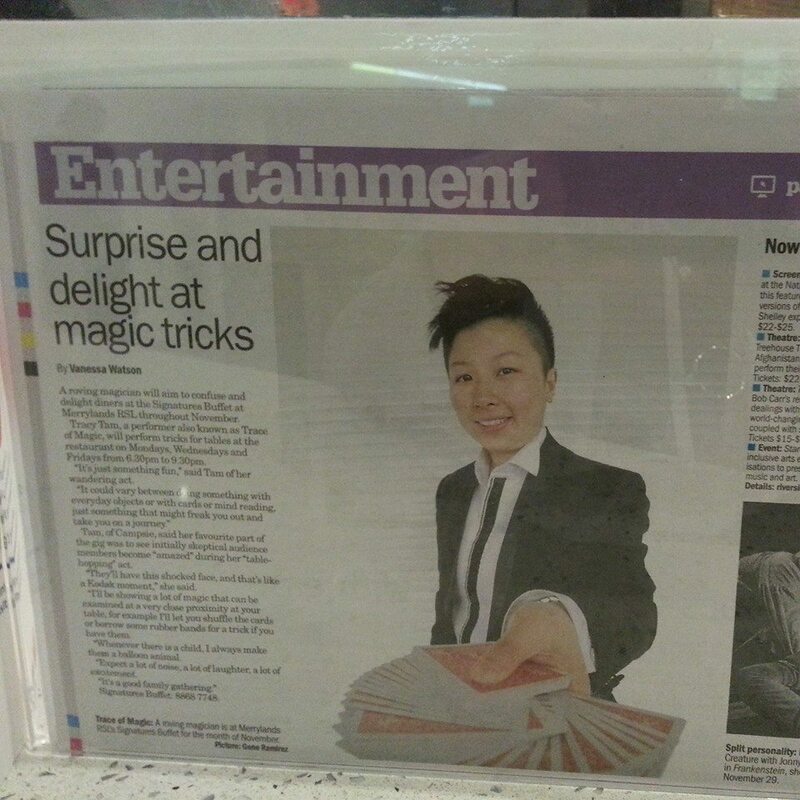 Her original creation of the Wedding Magic Show has attracted interest from the media. The Wedding Magic Show is designed to STAR the Bride and Groom, having them the bride to cast magic spells on the groom to pass 3 stages of test. The show is innovative, interactive, meaningful, extremely funny and engaging leaving all their guests on the edge of their seats. The romantic and jaw dropping show will leave memories to be looked back for years to come! MAKE A DIFFERENCE TO YOUR EVENT WITH MAGIC! Sydney Magician Prices & Fees in 2019?